In a way, I hardly needed to do a sermon this morning, because the Apostle Paul has already preached one, including an extended illustration, in the reading from 1st Corinthians 12. Or should I say, Paul has preached two sermons, weaving them together in a way that probably seemed like a good idea at the time but may have obscured his point 2000 years later. So my task this morning is mostly to do a bit of unravelling – or for the knitters in the crowd, to rip out a row or two in order to get back to a place where it’s easy to go forward again. So what are the two sermons Paul is intertwining here? The first one, is his answer to a question raised by the Church in Corinth, about the gifts of the Spirit. “There are different kinds of spiritual gifts” he writes, “but the same Spirit gives them. There are different ways of serving, but the same Lord is served. There are different abilities to perform service, but the same God gives ability to all for their particular service.” (1 Cor 12: 4-6) He then goes on to list these gifts, but not before writing these important words (verse 7): “The Spirit’s presence is shown in some way in each person for the good of all.” Words to live by, for the Church in Corinth, or any Church. His second sermon, regards the body of Christ. And here, Paul doesn’t just say that “we are the body of Christ” and leave it at that, reminding us of our presence and responsibility in actually bringing the love of Jesus to life. No, Paul keeps developing this metaphor all the way toward the absurd, talking about ears arguing with eyes, and the head asserting its superiority over the foot, showing the Corinthians how silly they look when they squander the opportunity to do good in the name of Christ, by their squabbling. This second sermon gets drawn together in verse 26: “If one part of the body suffers, all the other parts suffer with it; if one part is praised, all the other parts share its happiness.” Having tied sermon #2 together, Paul then goes back to sermon #1, this time not just listing the gifts, but ranking from most to least important the ministries that emanate from those gifts. As much as Paul tries to tie these two discourses together, it still feels to me like two very different things that he’s toggling between. Over here he has this list of spiritual gifts – wisdom, knowledge, faith, healing and miracle-working, speaking in tongues and interpreting tongues – and the roles within the Church that need those gifts – apostles, prophets, teachers, miracle-workers, healing, and, again, the ecstatic ministries of speaking in tongues…. And over here, he has eyes and ears and the head and the hand and the feet and those “unmentionable bits” that are treated with greater modesty. For me, it’s a bit of a head-scratcher… but it wouldn’t have been a head-scratcher at all for the people of Corinth. Far from it. When Paul put these two approaches side-by-side, it was full-on confrontational. For the Corinthians had become so terribly concerned about status and hierarchy, and had given such an advantage to people displaying the most showy spiritual gifts, that there was no sense of unity to them. And those who bore the brunt of this, were the poor and marginalized, whom they were supposed to be lifting up. And now I see the unity of Paul’s two messages more clearly. He has heard that in the Corinthian church, it’s all about hierarchy: if you haven’t demonstrated the ecstatic gift of speaking in tongues, you were an outsider in that congregation. So when Paul gives them a ranked list, he intentionally puts the thing they value most, speaking in tongues, dead last. They are to be about building up, learning, caring, first and foremost; other, showier things were still “of Christ” but they couldn’t be the focus, and definitely couldn’t be status symbols. And even though those early gatherings in the name of Jesus were, in most communities, a life-changing gift to people of no status – slaves, foreigners, manual labourers, women – that wasn’t how they rolled in Corinth. The table fellowship of Jesus, which was so intentionally inclusive, had been distorted by them into something quite the opposite… so the Apostle Paul bluntly reminds them that the hands that brought the meal to their table, and the feet that ran errands for them, and the backs that bent and broke under heavy burdens, were actually God’s favourite parts of their body. God was less impressed by the minds that came up with grand thoughts or the faces that shone with expensive moisturizers. The parables of Jesus often wrapped up with the words, “the last shall be first and the first shall be last” and that’s what Paul does here: he calls the Christians in Corinth to be those who embody the justice of Christ, by how they behaved as a Church, re-balancing the scales in favour of those they have been disrespecting. Oh, those Corinthians, what a mess they had made of things. And am I ever glad that the correspondence to them from Paul got preserved in our scriptures – because the searchlight he shines on their behaviour, cues up the kinds of hard questions that every congregation gathered in the name of Jesus needs to ask itself. We are the body of Christ, and as such need to embody Christ’s love for the world. Although it has struggled to find momentum, the reason we are engaged in the Affirming process here at Ralph Connor, is to ask these same questions of ourselves. For here, as in any congregation, there will be ways that we go about things that do not roll out the welcome mat to some people or groups of people – what would those be, and how could they change? There are physical things about our building – the sanctuary, the hall, the upper room – that tell people with disabilities, that their participation in this body has limitations – what would those things be, and how could they change? And taking one step outwards, there are historic injustices that Churches have perpetrated toward First Nations, toward women, toward the LGBTQ2 community – what are those, and what is our role in writing a new, shared narrative moving forward? By being so blunt with one Christian community, Paul hands us a light to shine on our practices, so that we may truly be the body of Christ. For, “being the body of Christ” is both a great joy and a great responsibility – his message of love and inclusion just HAS to be heard and seen and experienced, without barriers. I celebrate how broadly I do see this community of faith acting as the body of Christ, “for the good of all” within the congregation and beyond the congregation, and amidst that celebration I also accept Paul’s challenge to stretch muscles that we might not have used recently, to embody Jesus and the gifts of God’s grace more and more fully. “At this time of year, shelter beds are often full to capacity, or beyond capacity. It is one thing to sleep outside under a bridge or in a park in the summer, and something much higher risk in freezing winter temperatures…. “Even as we each wrestle with what we can do to help, I want to give grateful recognition to the work of the United Church’s community ministries who provide shelter, food, and a variety of programs and supports to people who are facing challenges with the basics of life. Emergency shelter may be the most pressing need this time of year, but the services offered are aimed at providing access to a wide range of supports for daily needs and longer term health and education. If you are a supporter of any of these ministries, either directly or as a contributor to the Mission and Service Fund, you are supporting this work. Thank you. 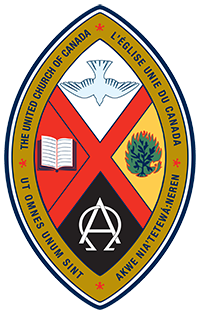 As we hear in today’s AGM of the ministries and priorities and horizons of this part of Christ’s body, Ralph Connor Memorial United Church, we likewise do so with a mixture of gratitude and wondering anticipation. We give thanks for what is, we seek what could be, and we even allow ourselves to be admonished by the grumpy old Apostle, as he reminds us how important it is to keep moving forward, and outward, in healthy and inclusive ways. We acknowledge and rejoice in what the Spirit is doing in us and what the Spirit will do in us, as we open ourselves more fully – even when that may be uncomfortable or even controversial. Thanks be to God for all of it, and for all of you, the living body of Christ. Amen.